This time i'm going to talk about some of the technology we created for our game PuzzleShare; the client->server communication system. The system we created uses silverlight on the client, but the code and techniques are applicable to all .net languages. In PuzzleShare we use this system for all communication to the server. We log new users in our mysql database, we track each users progress, log scores, let them save their own levels and play other peoples levels. None of this would have been possible without this system. Of course, you never ever want to directly access your database from the client for obvious security reasons, so it becomes a requirement that you proxy all your requests through a server first and hence this article. You might well ask: 'why didn't you just use WCF services?'. Well, the answer is simple: our servers are all LAMP based, not windows; so short of trying to get mono up and running on them, we needed a different solution. Being conscientious little developers we of course scoured the net for existing plug and play solutions and quickly came across WebOrb which, although large (tens of megabytes of source) seemed a great fit for our needs. Things went well at first, but then i started running into problems with the installation not including the silverlight client, then once that was resolved i started getting strange crashes on the client side (which was undebugable since you aren't given their client source)... The final nail in the coffin was when i sent an array of enum values to the server and found that it had just converted all the values into the enum string names instead of leaving them as ints! A new way, but which way? So, obviously this wasn't going to do; we needed a new solution to this. The question then became which technology to adopt. Ideally, we encode all our messages in binary and send them that way, but we didn't have the amount of time available to us which would be required to implement such a feature on both server and client, so we had to adopt another encoding. The density of the JSON is much less; the reason being it doesn't require the verbose closing tags that XML does. In fact, once all the carriage returns, tabs and spaces are removed from both examples, JSON is 77% the byte-size of the XML. Now that we had decided on JSON as our encoding, we just need to assemble rest of the puzzle. System.Net.WebClient provides a very simple interface to POST data to the server and receive the response in an asyncronous fashion. System.Runtime.Serialization.Json.DataContractJsonSerializer provides built in complex type serialisation and de-serialisation. These two require the following references be added to your project: System.ServiceModel.Web and System.Runtime.Serialization. json_encode and json_decode are built in functions which serialise and deserialise complex types in php. Now we were set to do the actual implementation. The first thing we needed to was to consider what the interface would actually be like on the client; i.e. how would we be sending requests and getting responses back? The first thing we'd need would be a proxy class to contain state information about the end-point on the server through which we'd be make the requests. Then once we had that, how might our requests look? Here, we are specifying the actual script to call on the server, the class name and function, any parameters that we want to pass, our response handler, error handler and any state information that we'd like to be able to access in the response/errors handlers. This simple example just sends the given string to the end-point on the server and receives the result. Setting the content-type is one of the important things to watch out for forgetting to do; in this case its application/json since we're sending JSON data. Ok, and what about de/serialisation? This one is a little more complex; the meat of the task is DataContractJsonSerializer which does the actual hard work. In order for it to be able to function it needs to have [DataContract] and [DataMember] tags added to the complex type which needs de/serialising. In this example we are have create the class TestClass which we like to de-serialise. Because it needs to work with a stream we must convert our json string into a stream before calling serialiser.ReadObject(). The slight caveat here is that the serialiser needs to know about any custom types used in the object, so these must be passed in as well. In order for the server to understand which script to call, which function and what parameters to use, we have to think about how each message will be packaged. By just using a simple wrapper to encapsulate all this and then JSON encoding that package we have all we need. as the finished request string. That is pretty much the size of it. The first thing which happens is the JSON string gets deserialsed into the package object - its unfortunate to note at this point that PHP loses the class type information when it deserialises, so you end up with anonymous classes; this is something we'd like to improve on. After the package is deserialised, we check that the given script exists on the server and we require_once it into the script, which loads the required script. Then we pull the function name out of the package and actually call the function and store the result output by that function. If there's not been a fatal error while running the given function, we continue and actually serialise the result before sending it back to the client. In this example we're going to serialise a complex object on the silverlight side, send it to the server, get the result back and display it. So we expect to see the first of the returned data to be an echo of what we send, proving that the system is working. Click the 'Send Request' button to fire the request off to the server. The result sure looks boring, but the components behind it are absolutely essential for the client-server communication requirements of PuzzleShare, and indeed any system where you need to transmit complex types from the client to the server. The astute among you will have noticed i didn't cover hashing in this article - i've run out of time writing this article but if enough people request it by posting in the comments, i will cover hashing at a later date. The main advantage with this technique over other libraries is that you have total access to all the code, which makes debugging so much easier and you are free to add whatever features you see fit or require. Its also somehow reassuring to be using the built-in libraries to perform all the hard work for you; this means the actual code is tiny - something like 42kb of source code only in this case! I would absolutely love to make the source-code available for free, but because i need to pay for my food and rent i've made it available for a very low cost. If you like this article, please buy the code and you will help ensure that i'm able to write more like this one. After purchasing, you will be redirected to a page where you can download the source immediately. I wanted to point out that xml can be smaller when you make optimal usage of xml attributes. Most data in your example will be available max once. Using attributes saves space as you do not need a closing tag. Besides that, most parsers support values without quotes. above code is fine work. but I am looking forward to following. 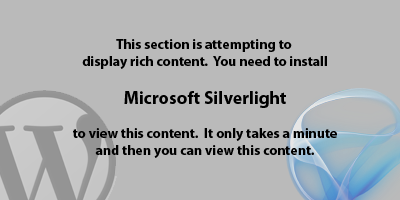 i am working with silverlight 4.0 and MVC 3.
i am stuck up at one position i.e. how to pass data from silverlight to MVC controller. for ex: consider a login form with username and password as two fields. the view is in silverlight and upon clicking the login Command button the logon controller should be called and these two values should be passed to the controller. also after login is successful how will the controller call or load the appropriate page? if you can help me with this i will be great full to you. Would this work for passing binary data? No, for binary you’re better off using a different protocol. BSON is a possibility, or one of the windows services. Execute a user-specified function with user specified arguments… what could possibly go wrong? Injection robustness is not something I cover in this article.